 As of today 25 laureates have already confirmed their attendance for the 16th World Summit of Nobel Peace Laureates that will take place February 2nd to 5th in Bogotá, and will bring together leaders and organizations that have stood out for their work on the field of peacemaking. Among confirmed participants are Nobel Peace Laureate of 2016, President of Colombia, Juan Manuel Santos and former presidents: Mikhail Gorbachev, of the former Soviet Union; Oscar Arias, of Costa Rica; Lech Walesa, of Poland; and Josè Ramos-Horta of Timor Leste. Also confirmed are Mohamed ElBaradei, who received the Nobel Prize for preventing the proliferation of nuclear weapons, Lord David Trimble, Northern Ireland’s former First Minister, co-author of the Good Friday peace Agreement; Bishop Carlos Filipe Ximenes Belo, the only living catholic bishop awarded with the Prize, who protected his people and led his country to self-determination; Shirin Ebadi, first woman jurist in Iran, who continues to work in exile against inequality and injustice in her beloved country; Yemen human rights activist Tawakkol Karman, founder of Women Journalists Without Chains, Rigoberta Menchú Turm, renowned Guatemalan activist who continues to campaign worldwide for indigenous rights; internationally acclaimed child rights’ activist Kailash Sathyarti, pioneer in the fight against exploitation of children and illiteracy, and the collective of institutions “Tunisian National Dialogue Quartet”, recognized for their role in the construction of peace in the North-African country. CCB president Mónica de Greiff said, “it is an honor and a great opportunity to welcome these world leaders, who have so much to say about peace, reconciliation and forgiveness, at a crucial moment like the one we live in in Colombia with the Peace Agreement”. The Nobel Peace Prize is the highest recognition that can be given to a person or organization in the world. It is awarded to leaders who have changed the history of their people to achieve unity. It will be the first time that the World Summit of Nobel Peace Laureates takes place in Latin America. During four days in Bogota some of the world’s most inspiring successful advocates of social, political, community, international, and personal peace will be gathered to address present challenges with inspiration and practical solutions. This Summit will focus on discussions and examples of the many roads that need to be built in societies in order to attain sustainable peace. In addition to conversations and debates among laureates, the Summit also opens a space for young people from different countries to participate in over 30 workshops with laureates and share their visions and experiences on peace building. The laureates will also spend a full day with civil society to allow for an intimate dialogue, exchange of life stories and experiences of peace building, emphasizing the elements that have been strength or light in the most difficult moments of their struggles. To attend the event as a participant or a journalist please fill out the registration form at www.bogota-nobelpeacesummit.com.